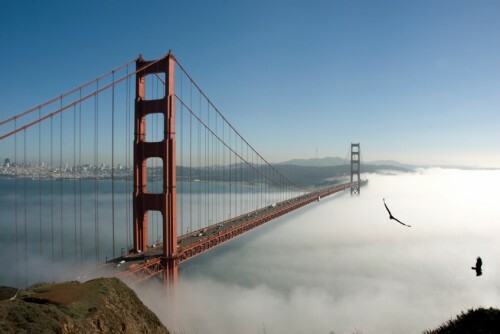 Really cheap flights to California: San Francisco for only €286! UPDATE 28.3.2018: Cheap flights from Frankfurt, Berlin, Hamburg, Dusseldorf, Stuttgart or Munchen to San Francisco are available from only €286! Travel dates in April, May and September 2019, only cabin bag included, check-in bag is extra €50. Cheapest departures from Frankfurt, 1 short transfer in Helsinki. Example dates: 3.5.-20.5., 8.5.-15.5., 8.5.-20.5., 13.5.-20.5., 2.9.-9.9. or 2.9.-16.9., BOOK NOW, check screenshot. Norwegian now offers really cheap flights to California, USA from Germany. Return tickets from Berlin to Oakland (San Francisco) will cost you just €331! This is a very good price, normal tickets to California would cost you around €600! Travel dates are from January to March 2016. Only 10 kg cabin luggage is included in the price, extra check-in luggage is of course available for extra fee. However if you buy your ticket through Travelgenio or Travel2be and few other travel agents, you will get FREE 20kg check-in luggage! If you look for accommodation try AirBnB – we now give you free €18 credit for this service. There is one short stop in London. You can also finish your trip in London if you do not have checked-in luggage. Book your tickets fast via Momondo, there are just few seats left.